I am super excited to be celebrating six years of blogging with my 12 Days of DIY Christmas Gifts. For the next twelve days, I am going to be sharing with you DIY gifts for all the family, many with an upcycling element. 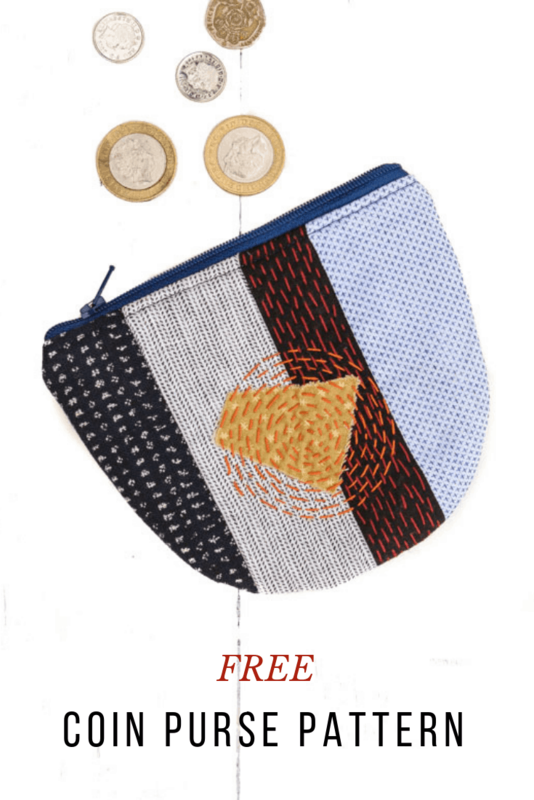 Today we are kicking off with a sashiko cute coin purse pattern. Today I am sharing a rather cute coin purse. 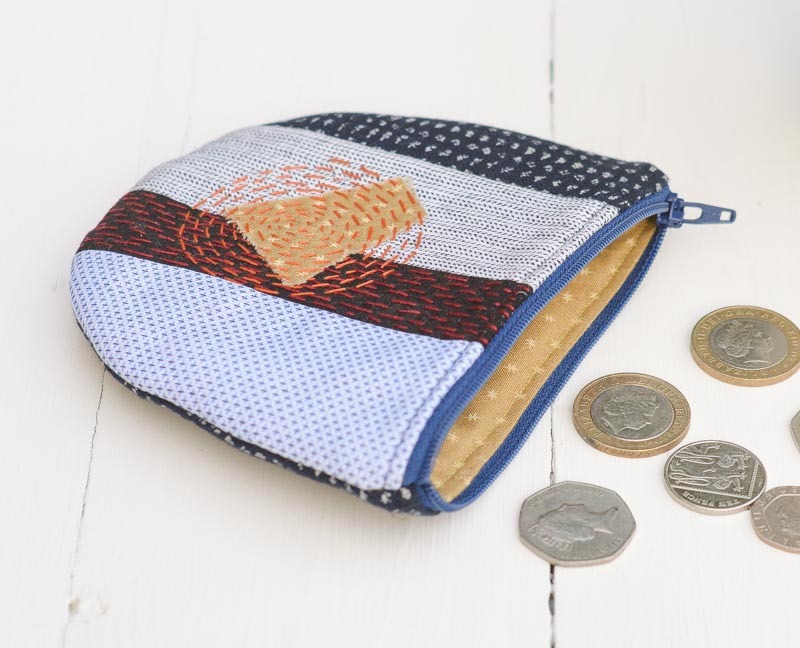 I love the fun variations you can have making this gorgeous sashiko cute coin purse. 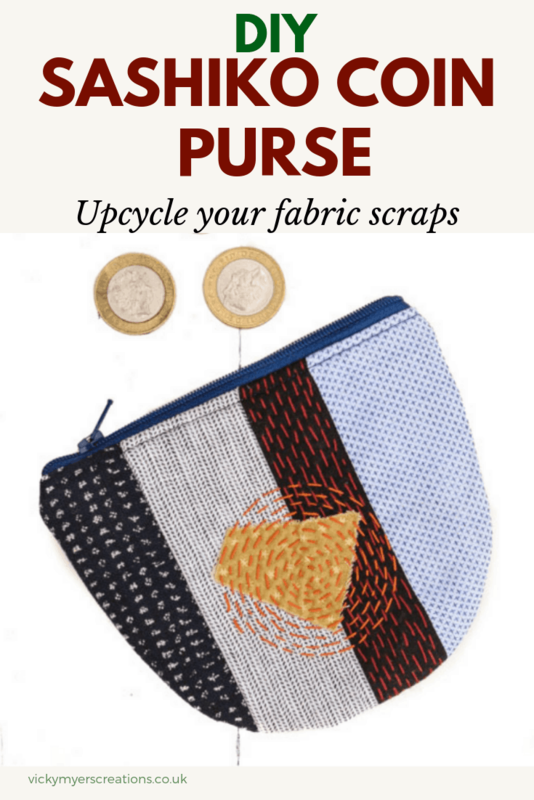 I love working with blues (often denim) – this coin purse pattern is great for fabric scrap stash busting. 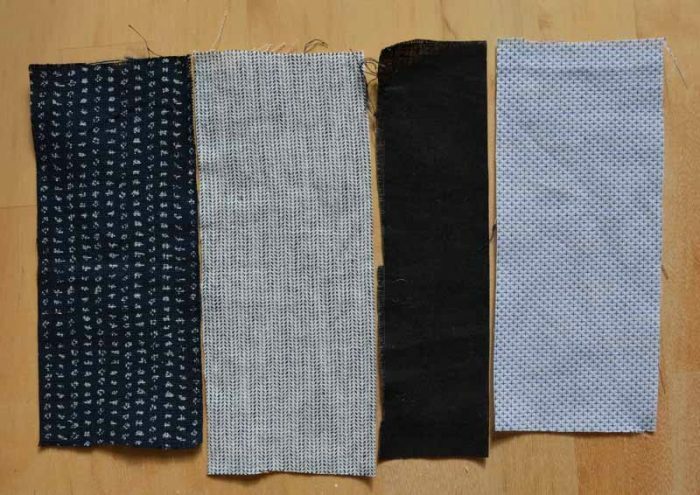 The fabric scraps I have chosen are dark blue with white spots (leftover from making this scoop pinafore), herringbone navy on white background (former linen trousers), black cotton (scrap bag), and blue crosses on a white background (former shirt donated by my husband). If you love bag pattern check out all my free bag patterns and tutorials. 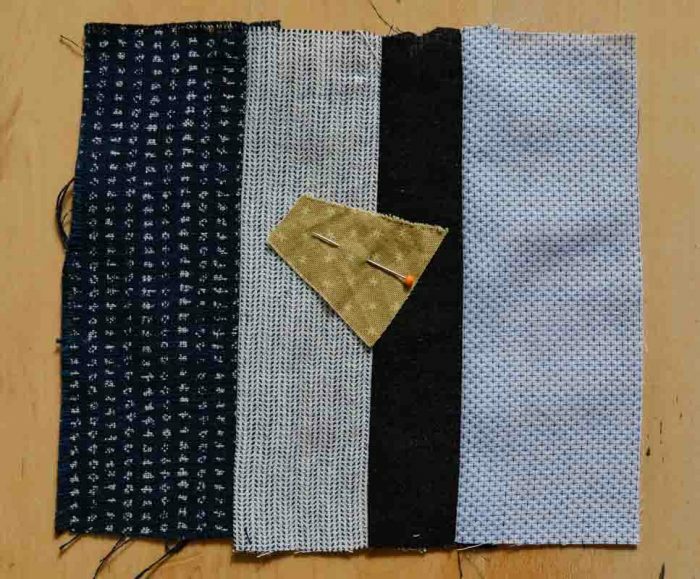 Start by sewing your four contrasting pieces together along the 6” edges, placing right sides together use 1/2” seam allowance. 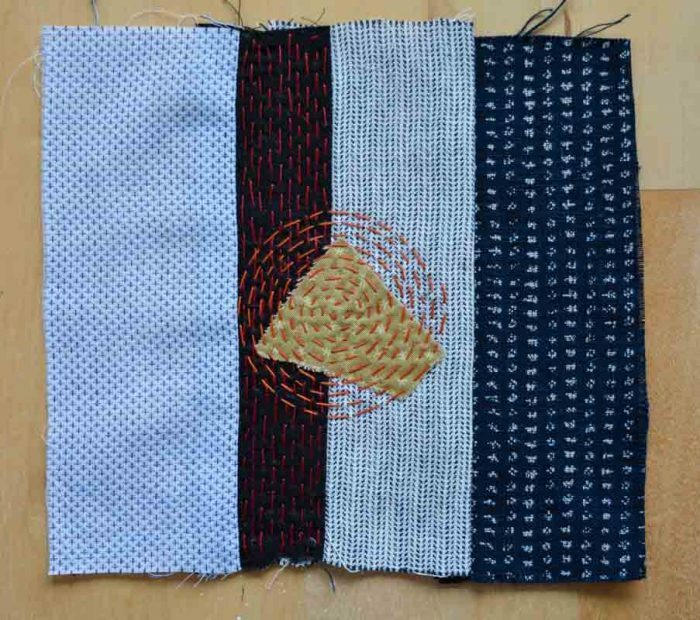 Using a running stitch start at the place you wish to be the centre of a hand-stitched circle. Using a running stitch hand stitch from the centre to create a circle. Gradually work outwards until you have a pleasing circle in a contrasting stitch to your base fabrics. 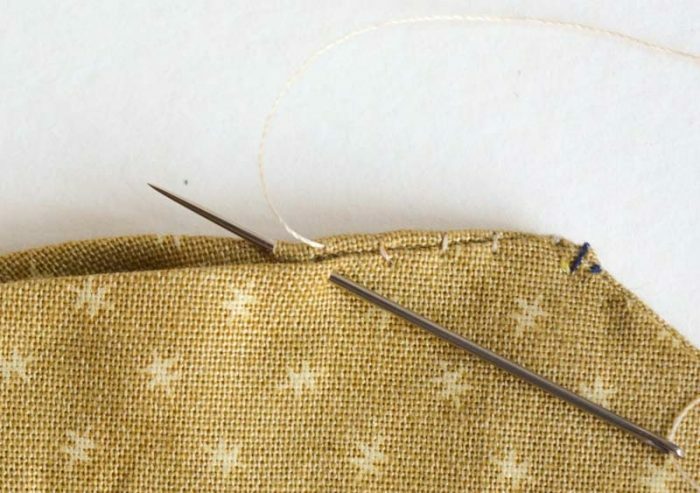 Choose one of your fabric pieces to add running stitch down the length of the piece. 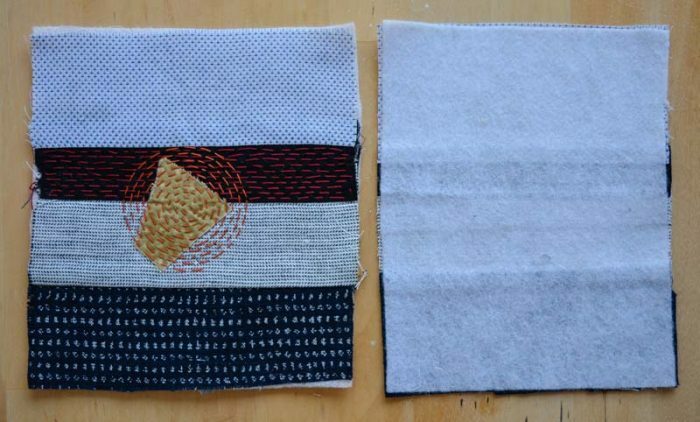 Once your hand stitching is complete add fusible fleece to the back of your two patchwork pieces, following the manufacturer’s instructions. 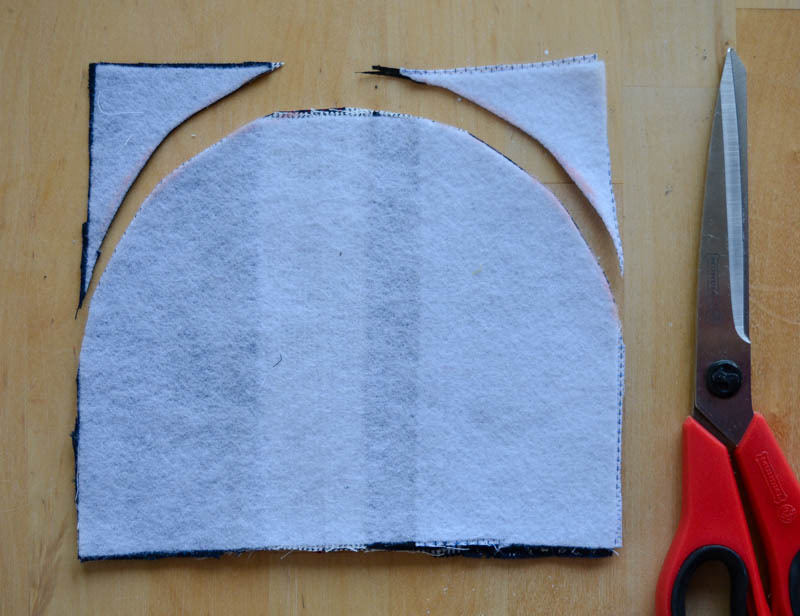 Next to trim your two out pieces and the two lining pieces to have curved edges. 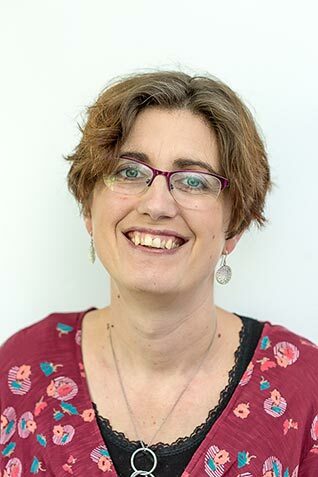 For newsletter subscribers, there is a template in the resource library. 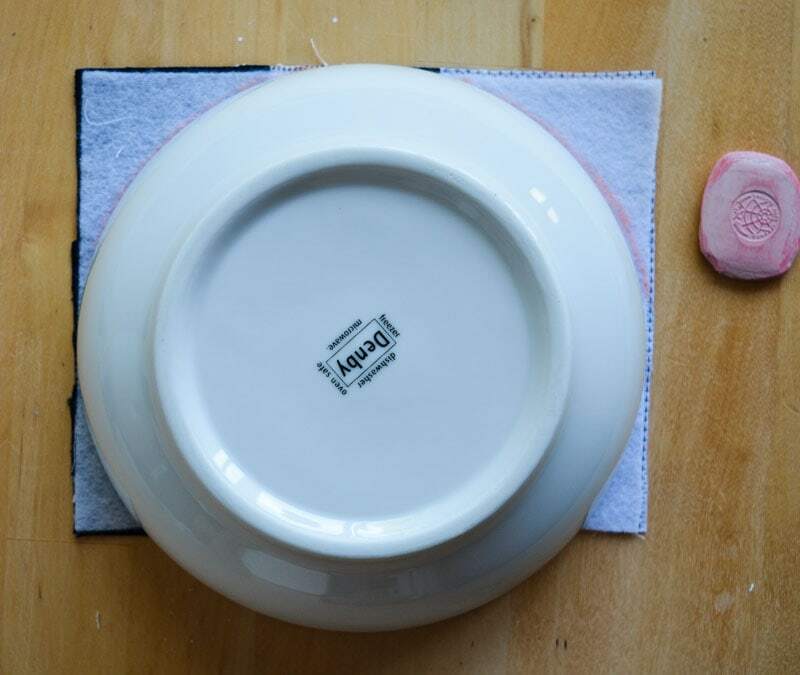 Alternatively, you can use a bowl and tailors chalk to mark curved edges. Trim your four pieces of fabric. Place a piece of the lining fabric rights side up. Then the zip, right sides facing you, then the outer piece of fabric wrong side down – in effect creating a zip sandwich. 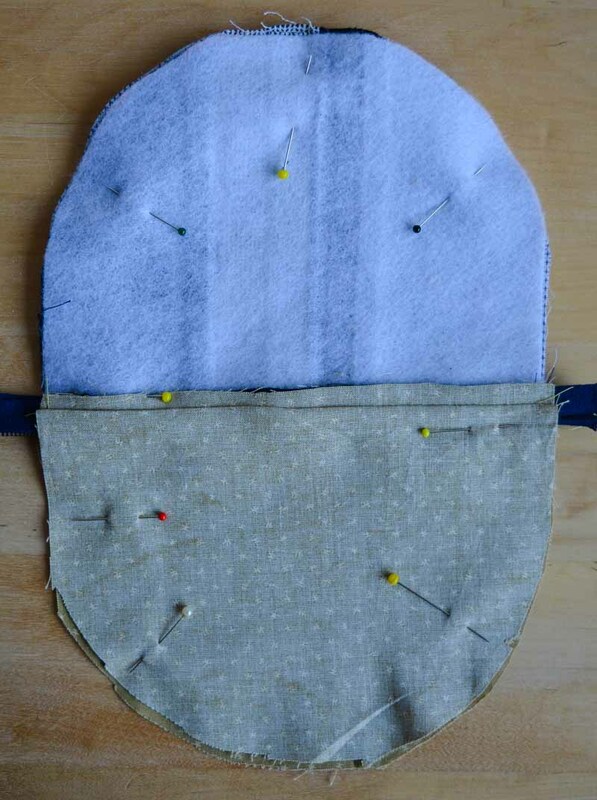 Using a zipper foot (if you have one) stitch the zip in place along the straight top edge. Open out to reveal the zip and press. 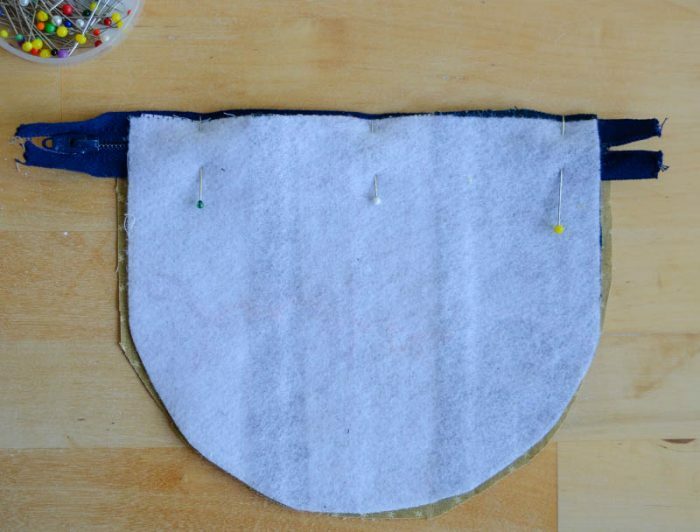 Pin the lining and top fabric away from the stitch and top stitch. Repeat for the second side of the zip. Open the zip halfway (this step is vital!). Open out your fabric so the two outer pieces of fabric are on top of each, and likewise the two lining pieces of fabric. 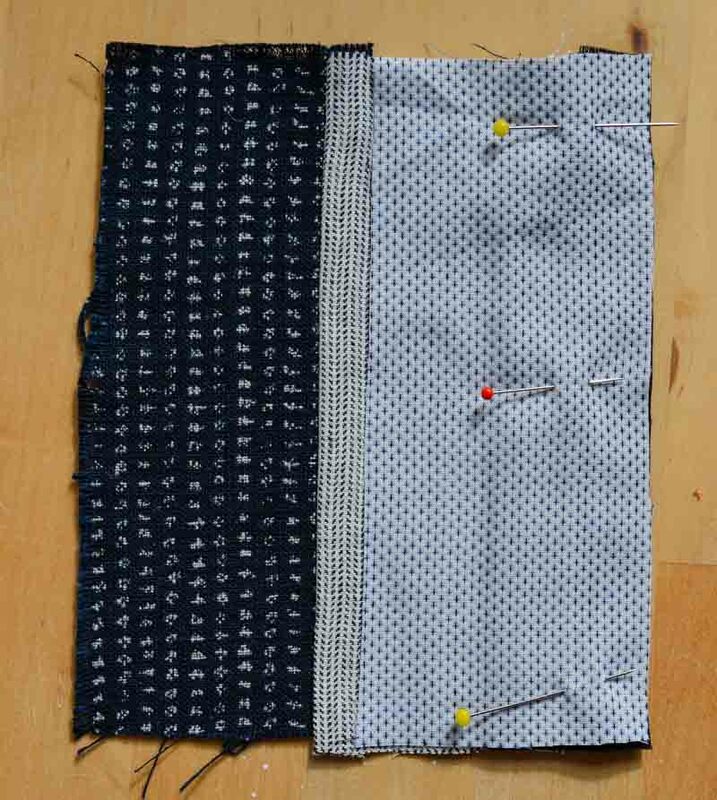 Stitch all round, leaving a turning gap of 2″ along the lining. Ladder stitch to close the gap in the lining fabric. Push the lining back inside the cute coin purse. The big question is if you are giving it as a gift how many coins will you place in the purse?! Don’t forget you can sign up to the newsletter for the downloadable template plus many other bags. Do not miss another post! Subscribe and get access to resource library upon signup. 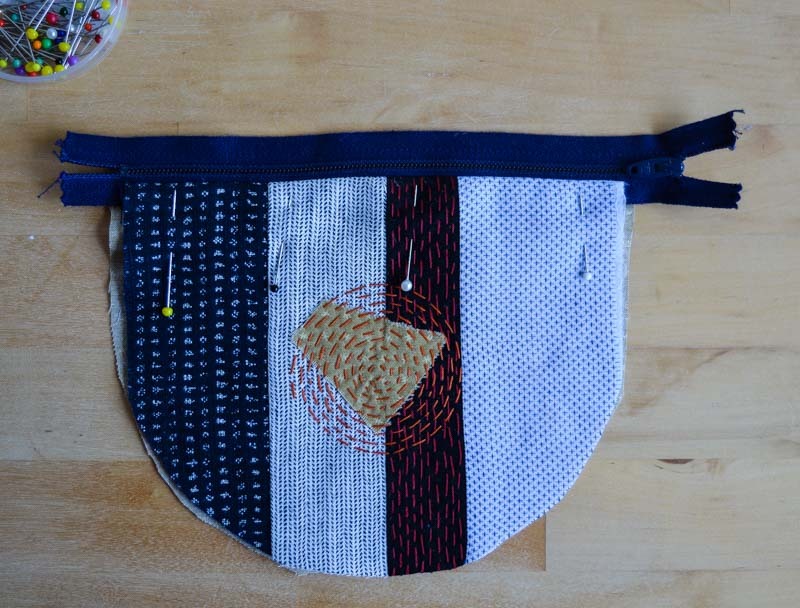 If you love sashiko check out my denim tote or boro crossbody bag. "DIY Felt Christmas Ornament Kits for Kids"